The decision to convert the University (Katanga) and Unity (Continental) Halls into mixed ones has been a subject for discussion over the few months it was announced. The two male halls of residence are to be converted to accommodate continuing female students and to also to enhance female interest in the fields of Science, Technology, Engineering and Mathematics. 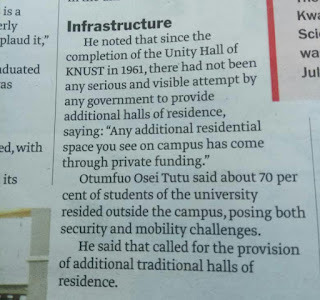 The management of KNUST seems not to have done enough stakeholder consultation. According to the authorities of the Kwame Nkrumah University of Science and Technology, there was a need to bring continuing girl students to campus for safety purposes. Also, there is a decision to increase girl intake into the STEM programmes and needed bed space for them. Started as a rumour but once the decision was made public, students of the University Hall quickly petitioned the Hall administration and Residence Committee so as to come at a consensus. Information gathered was that the officials didn't see the need to consult the students since it was a top hierarchy decision. Substantive approaches like building more traditional halls on campus as well as increasing security off-campus in the now were raised. A call for equal treatment was horned by the boys. An argument about the natural inclination of boys to STEM programs was also heralded. The Alumni bodies of the said halls initiated series of meetings with the top administration of the University and at a point the Unity hall end presented a petition to the Minister in charge of education. 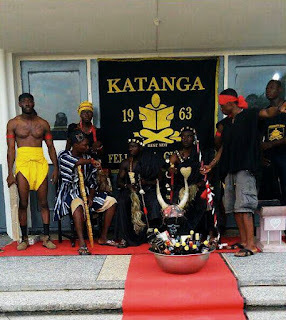 The students also formed a united front dubbed "katanentals" to fight this decision. The authorities strategically left out the two halls in the first placements. Once the students went on vacation, they quickly released a new list to include the two halls. This has caused stir among the students and Alumni alike. What happened to all the meetings? The Alumni body of Unity Hall has already initiated a court action with that of the University Hall calling for positive radicalism. This has further necessitated a meeting between four University male halls in Ghana. Come Friday 20th July, hall executives and Alumni of Casely Hayford (Casford), Commonwealth (Vandals), Unity (Continentals) and the University (Katanga) will hold a forum at the Accra Technical University's conference room. 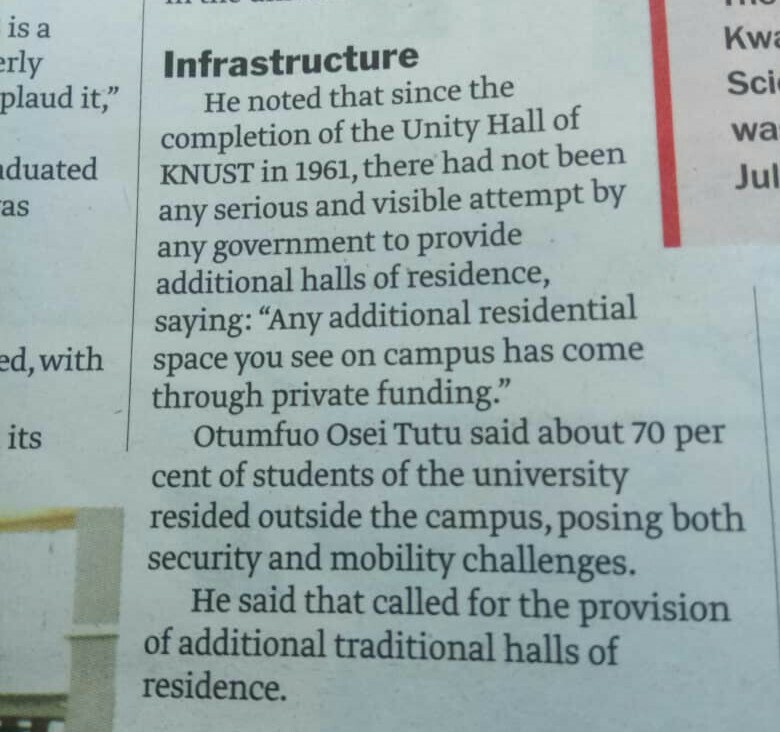 The King of Asante, Otumfuo Osei Tutu II who doubles as the Chancellor of the University has called for the building of more infrastructure to curb this hullabaloo but looks like his subjects have a different mindset.